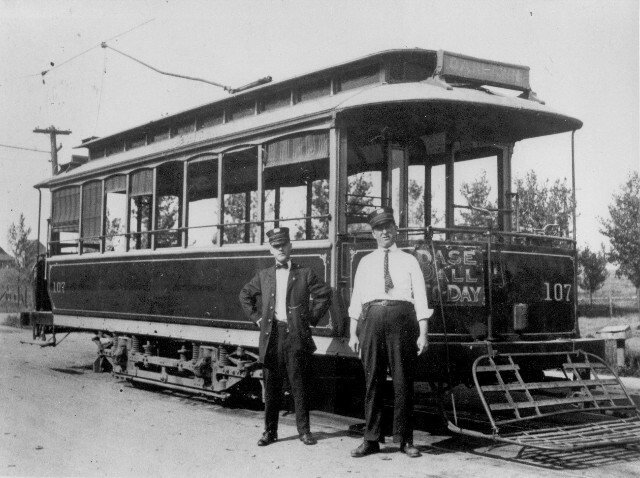 Six similar views of the rebuilt 8-bench (now 8-window) open cars. 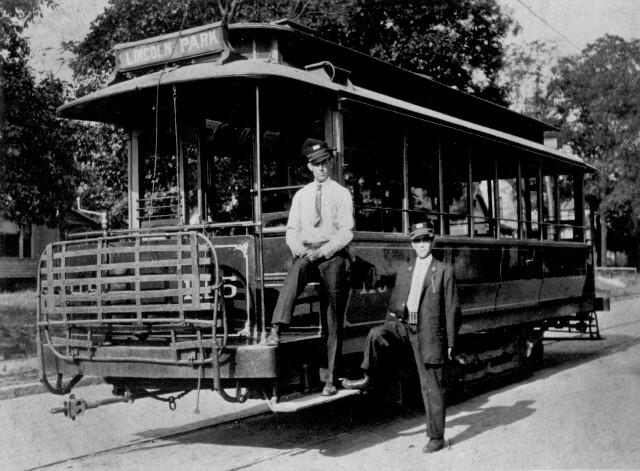 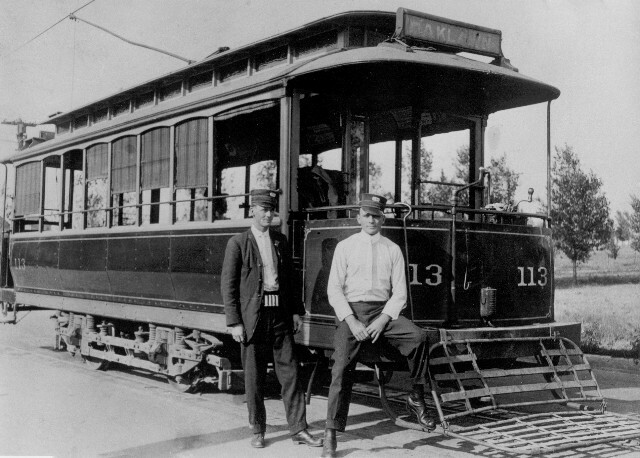 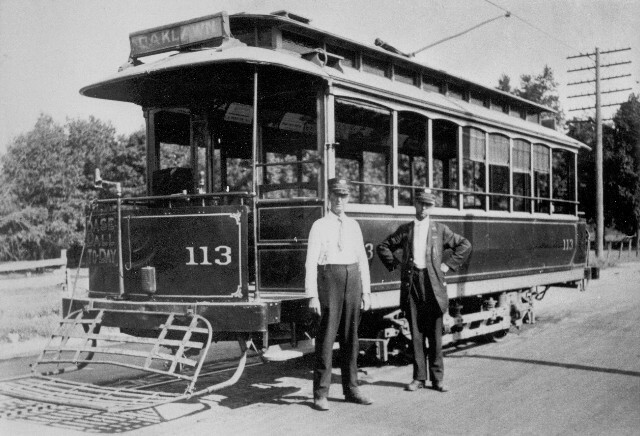 The top four photos feature cars on the Oaklawn line: cars 107 and 111, then two pictures of 113. 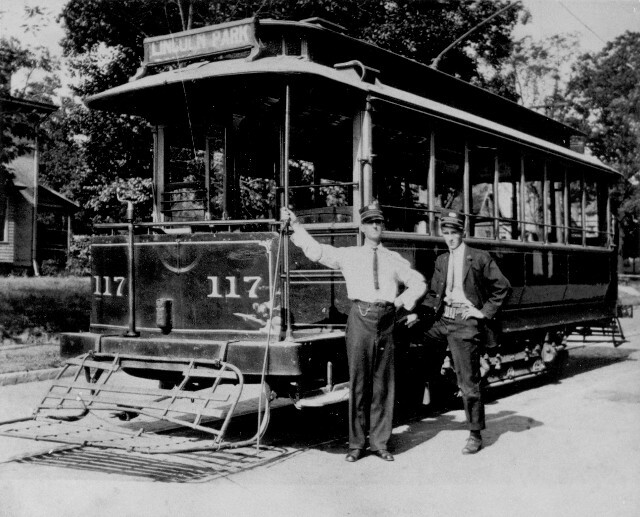 At the bottom, we see cars 115 and 117 on the Lincoln Park line. 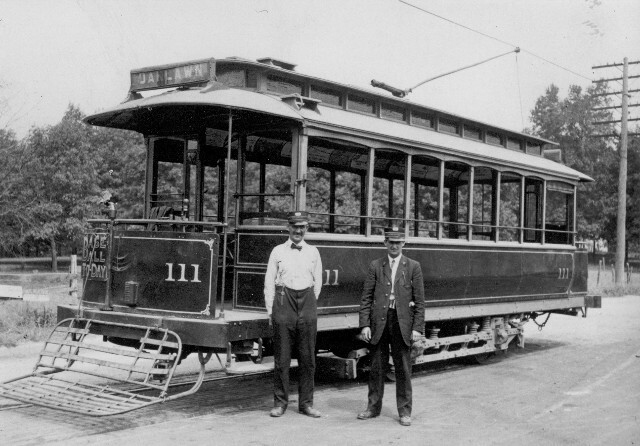 No photos are known of the even numbered ex-St. Louis cars rebuilt with closed sides.